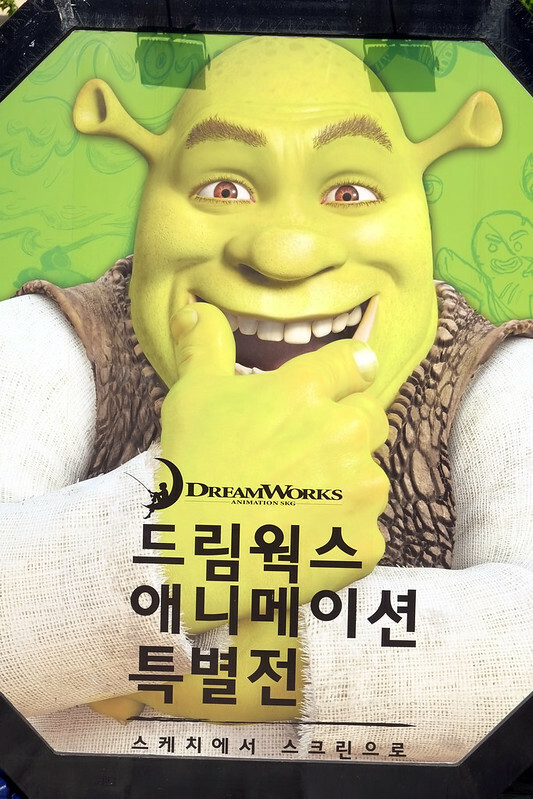 This week we're visiting the Seoul Art Museum to delve into the fascinating world of animation at the current DreamWorks exhibition, titled : DreamWorks Animation: The Exhibition–Journey from Sketch to Screen. Welcome to week 283 (6/23/2016) of Travel Photo Thursday.The show is divided into 3 segments: character, story, and world. Each segment provides detailed insights into how many of our beloved animated story characters are created, how each story is organized, and the technologies utilized to bring each character to life on the big screen. 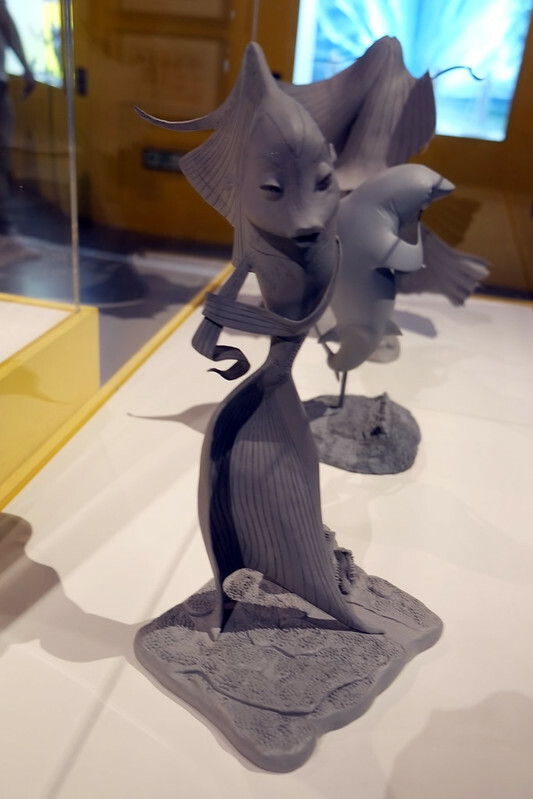 This week we’re visiting the Seoul Art Museum to delve into the fascinating world of animation at the current DreamWorks exhibition, titled : DreamWorks Animation: The Exhibition–Journey from Sketch to Screen. 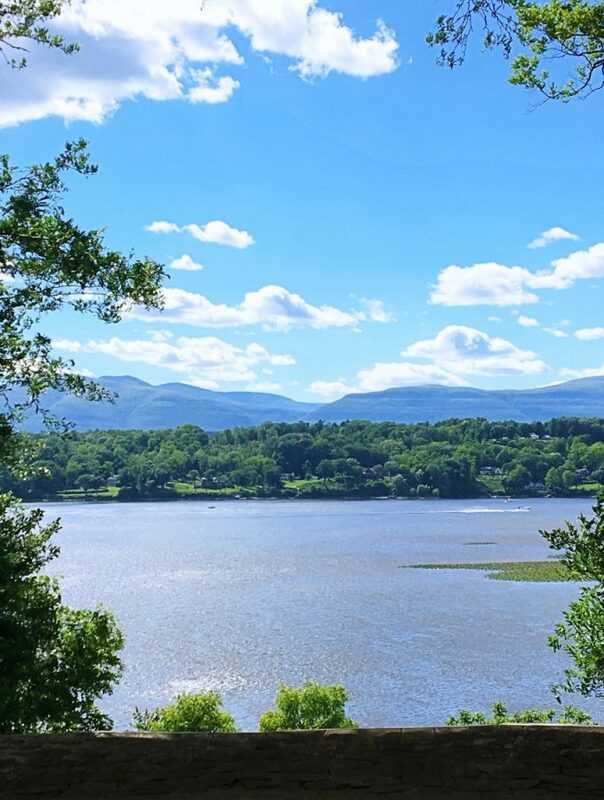 Welcome to week 283 (6/23/2016) of Travel Photo Thursday.The show is divided into 3 segments: character, story, and world. Each segment provides detailed insights into how many of our beloved animated story characters are created, how each story is organized, and the technologies utilized to bring each character to life on the big screen. 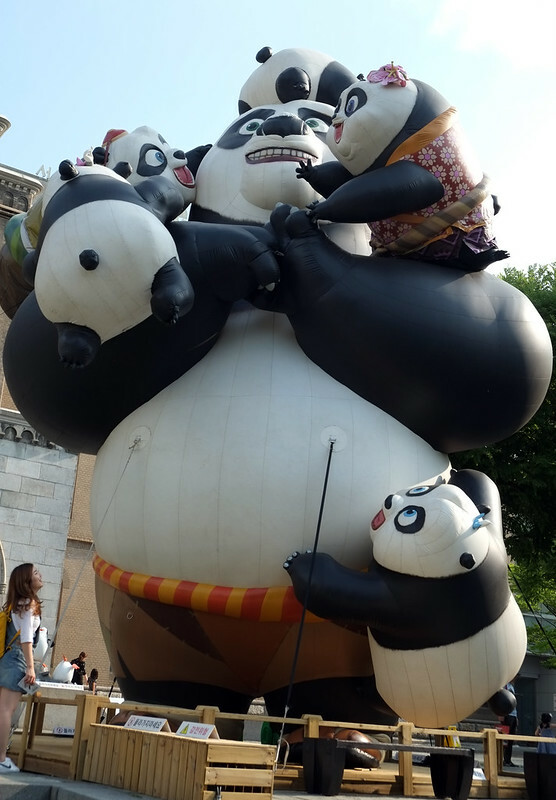 We are greeted by Kung Fu Panda and the kids at the entrance to DreamWorks. Notice the visitor on the left, to get an idea of the size. 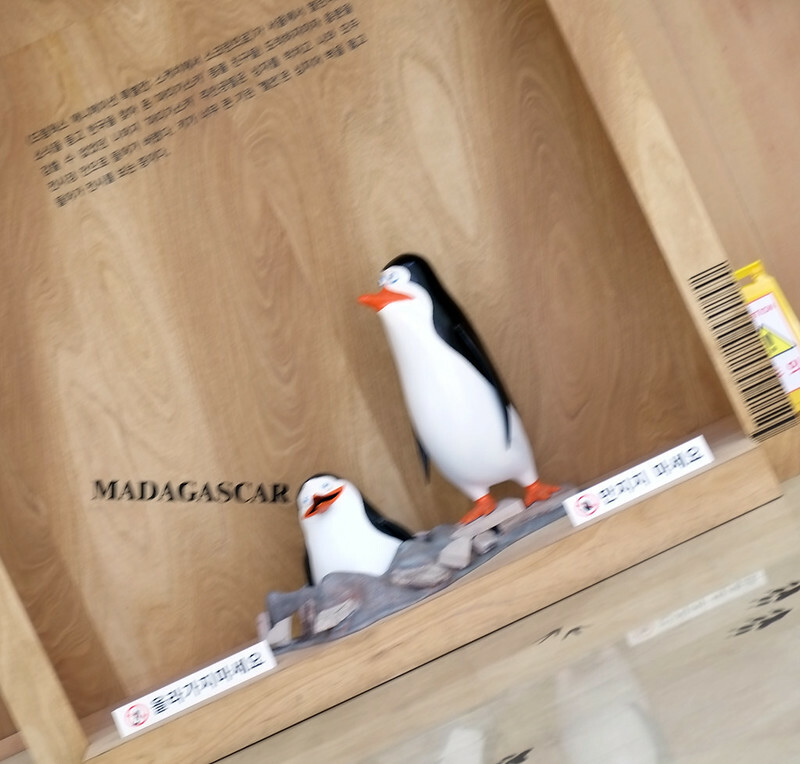 Upon entering the lobby we were greeted by Melman’s hind end, and these cute Madagascar penguins. The exhibition area is to the left, and upon entering you can see that it is divided up into zones, with each zone representing a movie. There are drawings showing how the stories are sequenced together. I had no idea that there is so much actual sketching and drawing involved. I always assumed that the story line and characters would be developed totally on a computer screen. Artist interviews are broadcast on small screens set up in each zone. Although the interviews are in English (with Korean subtitles) they were more often than not muted. That was my biggest criticism of the show. However, I could still sense the artists excitement and attention to detail through their facial expressions and body language. Most of the characters were also created as 3-D molds. This one is my favorite. 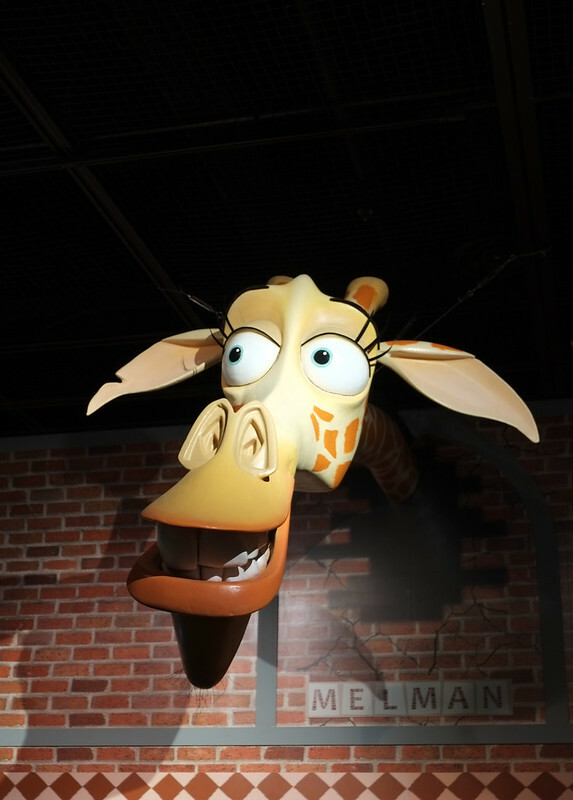 Finally, we get to see that Melman’s hind end is indeed still attached to his head! This animated work station/desk was also very cool. Sketches kept appearing and reappearing. I would love to know how this was put together! Computers were scattered around the exhibit area, and visitors were encouraged to experience the Facepower software. Changing each character’s facial features was fun for both the little kids and the big kids! Now, I think it’s about time that I see Kung Fu Panda. This guy is just so cute! If you’re in Seoul, come in out of the heat and have some fun at the Seoul Art Museum. Subway City Hall Station (subway lines 1, 2) exits 1, 11, 12 (I recommend exit 1). Oh what a fun post and what a great tour you gave us. Love the color and life in this exhibit! Hi Jackie! It really was a fun exhibit for both kids and adults. We had as much fun playing on the computers as the kids did. It is amazing what you can do with a bit of software. It was also interesting to see exactly how animated films are created. They are definitely an art form. Now I want to see all those movies! Hi Indrani. Thank you! Yes, something for everyone to enjoy at this exhibit. I loved the lightheartedness, and seeing how many of our favorite animated characters are brought to life. Hi Lydia! Yes! Big kids just want to have fun! This is so cool! I would like to go to an exhibition like this. Like you mentioned, I am sure the process of creating an entire movie has certain manual aspects we are not aware of. Hi Ruth. Yes! I was surprised at how much creativity happens off the computer screen. What an awesome museum! 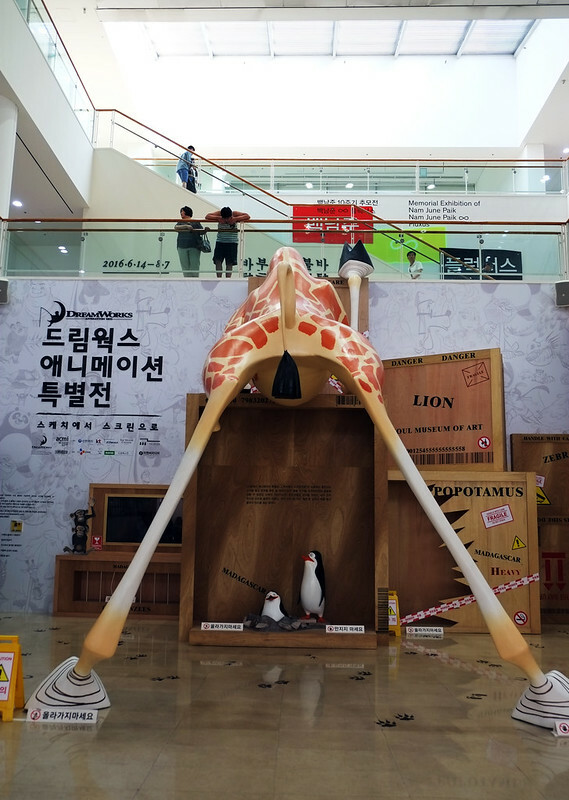 The displays are fantastic, I love the giraffe one the most. Hi Brooke. The giraffe is awesome. I laughed out loud when I walked in and was presented with his hind end! I don’t usually visit Museums, but if I am somewhere hot, like Seoul, I might be tempted. Lots of cute characters in this one! Hi Jan. I love museums, and Seoul being a major city gets is fair share of great exhibitions. 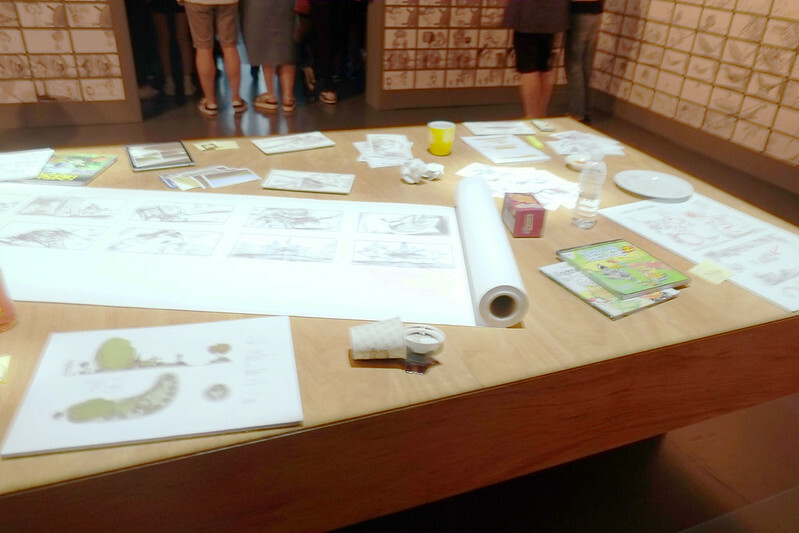 This is exactly the type of exhibit that my kids would enjoy since they’re interested in the art and process of animation. I wonder if it will be coming through the USA some time. Looks really cute. Hi Michele. I’m sure they would love this. I’d be surprised if it isn’t somewhere in the USA at some point. Great place to take kids. 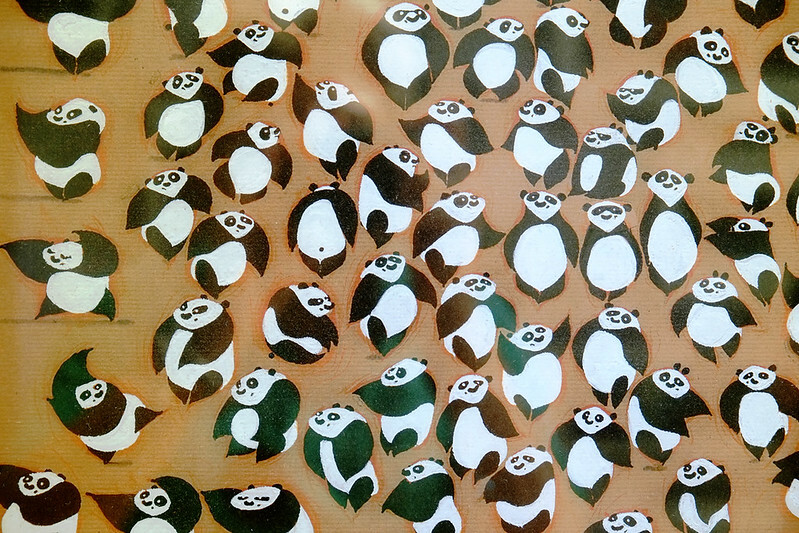 I love the Pandas! 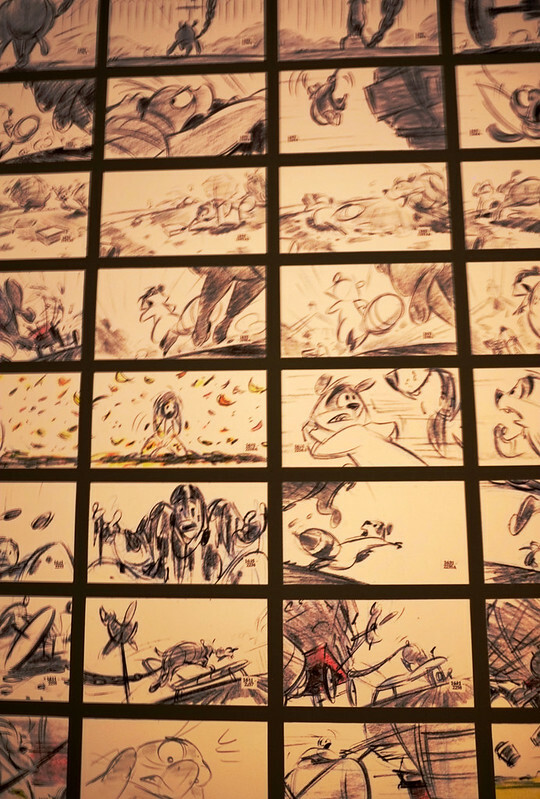 How fun to see and learn more about the behind-the-scenes action of creating an animated film. It boggles the mind to see how much work actually goes into the process. The museum looks like a great place to visit for any age group! Hi Anita. It was interesting and fun, and was nice to see the kids enjoying an exhibit too. Koreans drag them to everything, and most of the time the poor kids are just not happy. Hi Nancie, it’s my first comment here and this is so awesome. 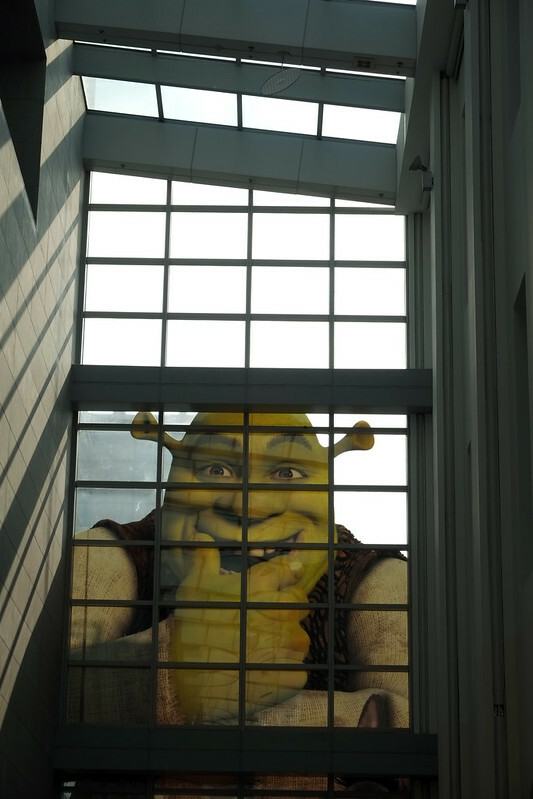 Shrek watching through the window is very funny  I also liked the sketching and drawings, it makes you understand how much work is needed for a 2 hours movie that may seem easy from the outside.